Carabiners are very versatile pieces of equipment not only for rock climbers, but for the ones who simply want to keep their keys secured. Why not combine the indispensable flash drive with the security of the carabiner? Great idea! It works the same way as any other. 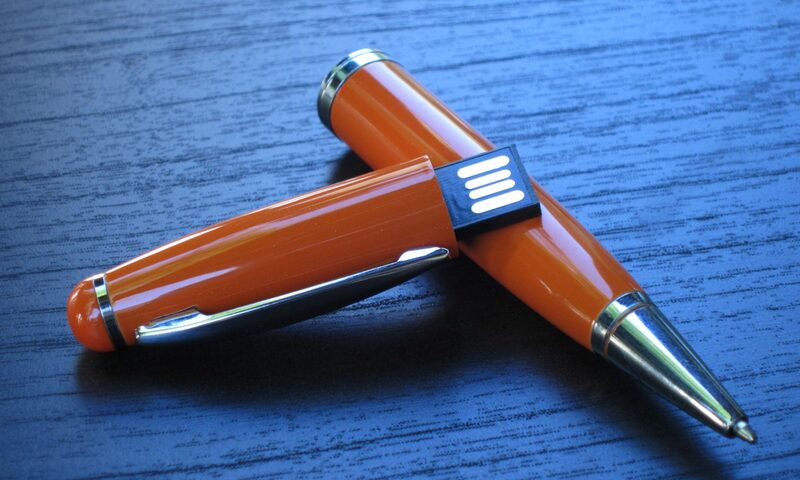 The spring loaded gate lets you attach the flash drive to anything you like. The spring is strong enough to keep the gate securely closed. The thick sturdy construction and wide opening makes it strong and very useful. Just flick the ribbed plastic piece with a small bump on the bottom of the drive to open the USB connector. It can be opened half way or full 180 for connection to any USB port. There are many available colors; the ones pictured above are just a few we had available for a photo op. Also, custom or match colors are also available. 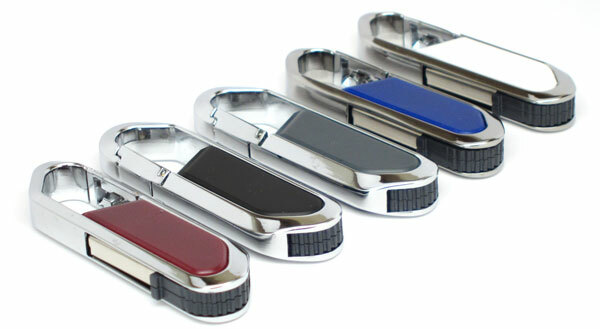 These Carabiner USB flash drives are cool; combination of function and style is a great find. Check with us to get yours today!